The Independent Cinema Office’s mission is to develop an open, challenging and thriving film sector. We are the UK’s national body that supports independent cinemas of all forms. We want everyone to have access to cinema that nourishes the soul and changes lives. We programme a network of over 20 cinemas, festivals and mixed arts venues so that anyone can access a shared experience of life-changing cinema in their community, offering a wider range of films to a wider range of people. We offer training so that independent cinema professionals can benefit from high-level knowledge that ensure our sector is successful, innovative and progressive. We offer consultancy to help start, save and grow cinemas, making sure they stay economically viable and build their capacity. We distribute films that make a contribution to the diversity of cinema culture in the UK and make a cultural intervention into the marketplace. We offer free advice and information to make sure that everyone can show films and take part in our sector. We run events for cinema professionals that help build a robust sector and encourage collaboration. What’s the history of the ICO? The Independent Cinema Office was founded in 2003, with a vision of everyone in the UK having access to life-changing cinema. This vision grew so that we could support the skills of the incredible people who work in those venues (via our training and professional development), increasing access to the films available to these venues (via our distribution and Screening Days projects) and making sure they had access to the best advice and information. The ICO was founded by Catharine Des Forges, who is still the Director of the organisation. The ICO is a small, vibrant arts organisation, reliant on the talent and enthusiasm of its staff. In 2003, we started with three members of staff, today we have sixteen. The ICO’s development is guided by the support and industry knowledge of the charity’s trustees, currently seven strong. Under the leadership of Dorothy Wilson as Chair, the board and management team work closely to set and monitor the strategic direction of the organisation. We have developed strong partnerships with a variety of national and international agencies and funders to deliver our programme of activities. The BFI has supported the ICO since its inception and is now a major funder of programming, information and specialised events for the independent exhibition sector through a range of activities. 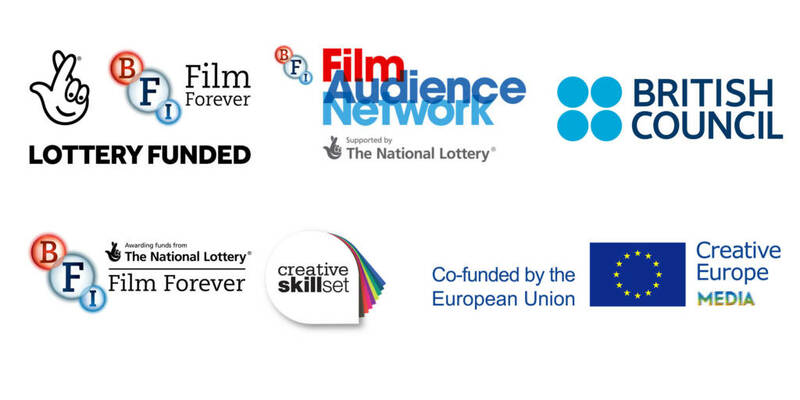 We are a national strategic partner of BFI FAN, the BFI’s network of agencies tasked with supporting audience development across the UK. We have also grown partnerships with a huge range of organisations both in the UK and internationally including the Japan Foundation, the Korean Film Council, Esmée Fairbairn, Europa Cinemas, Creative Skillset (who support our training and professional development projects), MEDIA programme of Creative Europe and the British Council (who back our portfolio of activities supporting European film festivals) and Arts Council England (who support a range of activities developing audiences for artists’ moving image).